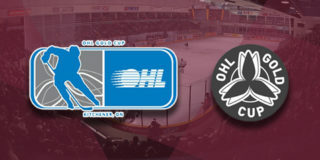 While 6 goals were enough to take down the Hamilton Bulldogs at the PMC on Thursday night, it was double the score for the Generals as the Petes dropped a 12-6 decision in Oshawa on Friday. Oshawa opened up the offence, taking a 1-0 lead with a wrist shot from the slot from Mitchell Brewer at 5:57. The home team’s lead wasn’t long lived as Chad Denault netted his sixth of his sophomore campaign 53 seconds later with assists from defencemen Ryan Merkley and Austin Osmanski. 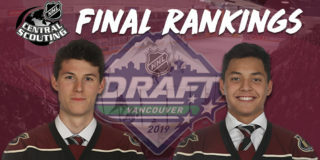 While on their first man advantage of the game, the Petes had difficulty breaking into Oshawa’s zone, and eventually Kyle MacLean put away a shorthanded marker to get his team back in front at 12:34. The Lift Lock Lads were once again quick to respond with Liam Kirk pouncing on a Nick Robertson rebound a minute later, with Merkley also collecting a helper on the game-tying, power play goal. Peterborough would jump out front to a 3-2 lead in the latter minutes of the opening frame courtesy of Semyon Der-Arguchintsev and friends Brady Hinz and Osmanski. A very back and forth period ended with nearly even statistics across the board. A five-goal second stanza from the Generals did damage to the Petes’ lead. Goals from Tyler Tullio, Dylan Robinson and Nando Eggenberger preceded an Adam Timleck tally that brought the maroon and white back within one at 7:55. Danil Antropov and Generals’ leading scorer Brandon Saigeon added to the board to close out the period with a 7-4 lead their Generals, with shots and special team chances still balanced through 40 minutes. The third period was not only more goals, but more fisticuffs, too. Allan McShane kicked off the period to bring the score to 8-4 before the rough stuff began. 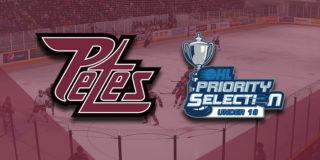 Twenty nine penalty minutes were handed out between the clubs before the Petes tried to claw back on the scoreboard. Captain Zach Gallant scored, while shorthanded, his sixth of the season and first since his latest return from injury with assistance from Robertson at 10:40. Thirteen seconds later, while still down a man, Robertson got on the board to bring the Petes back within two. Goals from Salinitri, McShane, and two from Brett Neumann followed, securing Oshawa’s 12-6 victory. 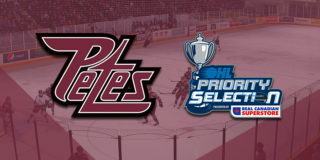 The Petes will get a shot at revenge on Saturday, February 2 at 7:05pm at the Peterborough Memorial Centre in the 10th annual Pink in The Rink event.